Certain things are incredibly unlikely to happen without negligence somewhere along the line. For example, when a post-operative patient awakes with a sponge sewn inside his abdomen, it is safe to assume that his surgical team was negligent. Situations like this led to the doctrine of res ipsa loquitur (literally, “the thing speaks for itself”), which grants a plaintiff a rebuttable presumption of negligence even without direct proof. To invoke the doctrine, a plaintiff must show that the defendant had exclusive control over the instrumentality that caused the injury, and that, in the normal course of events, the injury would not have occurred without negligence. Invoking Res ipsa loquitur can be tempting for aviation accident plaintiffs who are unable to prove actual negligence. After all, these plaintiffs say “Airplanes don’t just fall from the sky.” Courts have refused to accept this generalization, though they have on occasion applied res ipsa loquitur in aviation accident cases. Two recent decisions in helicopter crash lawsuits have again brought res ipsa loquitur to the forefront of aviation law. The first case, Ozer v. Fluor Intercontinental Inc., is an unpublished decision from the California Court of Appeal. Fluor was a U.S. Army contractor in Afghanistan, and hired Tryco Intl. to provide charter flights to Fluor’s construction sites. One of Tryco’s helicopters crashed into an Afghan mountain, killing all 12 aboard. The plaintiff, the widow of a passenger, argued that Fluor negligently hired Tryco, whose negligence caused the accident. However, she presented virtually no causation evidence. She did not engage an aviation expert, and did not present any evidence relative to the pilots, the helicopter or its maintenance history, or any radar or weather data. Instead, the plaintiff invoked res ipsa loquitur, arguing that the only explanation for the crash was Tryco’s negligence. The appellate court rejected the plaintiff’s attempt to skate by on res ipsa loquitur. The doctrine applies only to accidents that do not ordinarily occur absent someone’s negligence. “Helicopter accidents can and do occur even in the absence of someone’s negligence, particularly when flying over a war zone.” The plaintiff made no attempt to rule out mechanical failure, component part failure, pilot incapacitation, a bird strike, or hostile action. While negligence need not be the only explanation for res ipsa loquitur to apply, it must be the most probable one. In this case, the court held that non-negligent explanations for the crash were just as probable, if not more so, than the explanation that Tryco was negligent. In the second case, the Idaho Supreme Court’s Krinitt v. Idaho Department of Fish and Game, the Department of Fish and Game had contracted with Leading Edge Aviation to fly employees on salmon spawning data collection missions. 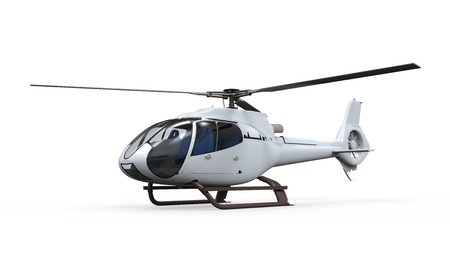 The helicopter was a three seat “bubble canopy” with the controls in front of the center seat. The plan was for state employee Barrett to sit in the left seat to look for salmon spawning beds, and for state employee Schiff to sit in the right seat and record Barrett’s observations. Krinitt was the pilot. Prior to the flight, Krinitt advised Barrett and Schiff they were responsible for maintaining control of any items they brought aboard, including Schiff’s clipboard. During the descent for an unscheduled (and unexplained) landing, the clipboard exited the cabin through the open right door and struck the tail rotor, which in turn caused the tail rotor assembly to separate from the helicopter. All three occupants died from injuries suffered in the ensuing crash. The right door had opened inadvertently during flight a month earlier, but this issue had been fixed. Krinitt’s estate sued and invoked res ipsa loquitur, arguing that Schiff had exclusive control over the clipboard. The trial court dismissed the suit, reasoning that the pilot could potentially have had the clipboard. The Supreme Court reversed, holding that the evidence—that the clipboard belonged to Schiff and that she planned to use it during the flight—was sufficient for exclusive control. The pilot could not have had it, the court reasoned, because he was busy landing the helicopter. Moreover, the court held that the clipboard could not have left the helicopter unless Schiff opened the door and failed to maintain control of the clipboard. It didn’t matter that the door could have accidentally opened because res ipsa loquitur does not require that other explanations be ruled out, only that other explanations are less likely. The Court did not explain why it was willing to reject as unlikely the proposition that the pilot had the clipboard, but accept the equally unlikely proposition that Schiff opened her door mid-flight, or that, even if the door opened inadvertently, she should have been able to control the clipboard despite her surprise and any aerodynamic forces that may have been at work. Though they reached different results, both cases stand for the proposition that res ipsa loquitur is inappropriate if a likely alternative explanation exists. The distinction between the cases is in the quality of proof in support of an alternative theory. It was easy for the Ozer Court to conclude that a helicopter crash in Afghanistan could have had a number of causes apart from the operator’s negligence. Yet, the Krinitt Court was not willing to accept an alternative theory without a level of evidence that was at least equal to the evidence in support of the plaintiff’s theory. Ironically, even though the doctrine of res ipsa loquitur is designed to address situations where evidence is lacking, evidence is highly important. Therefore, a defendant facing a res ipsa loquitur claim ought to plan for discovery with an eye towards not only debunking the plaintiff’s theory of causation, but also supporting any alternative theories of causation.